I’m Karen and I currently live at the Meath. 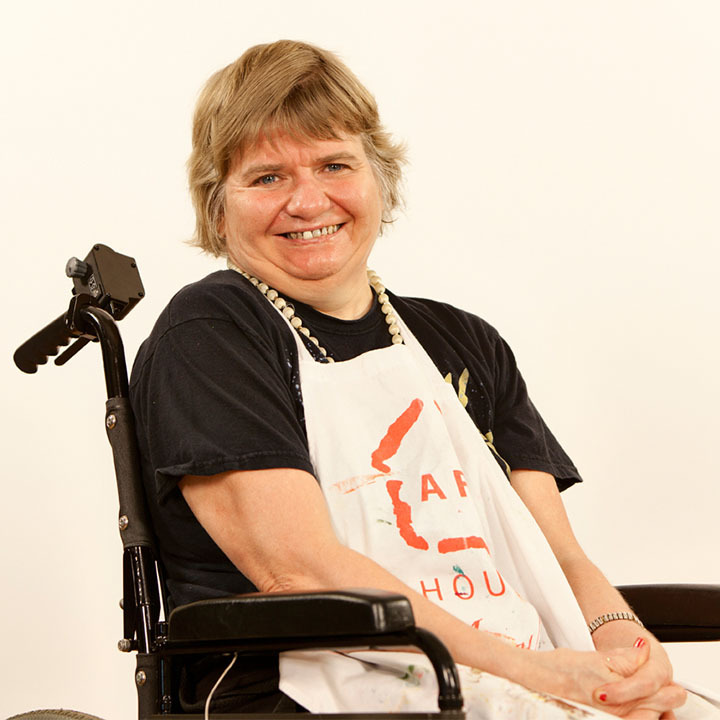 I used to live at home with my mum but really enjoy being at the Meath and love ARTHOUSE Unlimited. I have jump seizures, so this means I can easily spill coffee and it happens very often so I try and be careful. I’ve been coming to ARTHOUSE Unlimited for a long time now, I love it because I like coming up with ideas for cards. 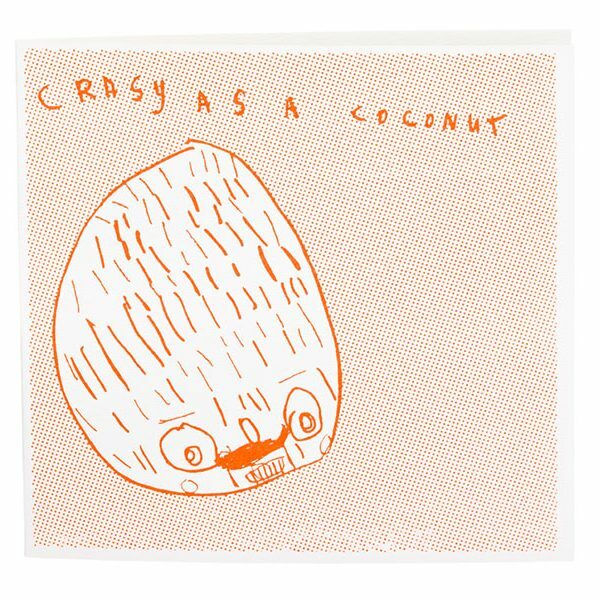 My favourite card design is my design crazy as a coconut as it makes me laugh. Matt (art instructor) also makes me laugh a lot. It makes me feel so good when I see my work being sold. I feel really proud of myself at ARTHOUSE Unlimited.